At Fairlawn, we strive to give children the technical knowledge and skills to thrive in the ever changing technological world. Our modern curriculum includes computer programming and the use of up-to-date technologies such as 3D printing. We provide every opportunity for learners to communicate and collaborate through online technologies. Our excellent computer:child ratio provides the opportunity for children to acquire independence and competence, which can be applied across the whole curriculum. Children learn how to best use the internet for learning, at the same time as keeping themselves safe. Our aim is to create digitally literate citizens as well as highly skilled users of technology. To further transform teaching and learning across the curriculum, we have sets of tablets for each year group. These tablets provide learning opportunities that would not ordinarily be possible. 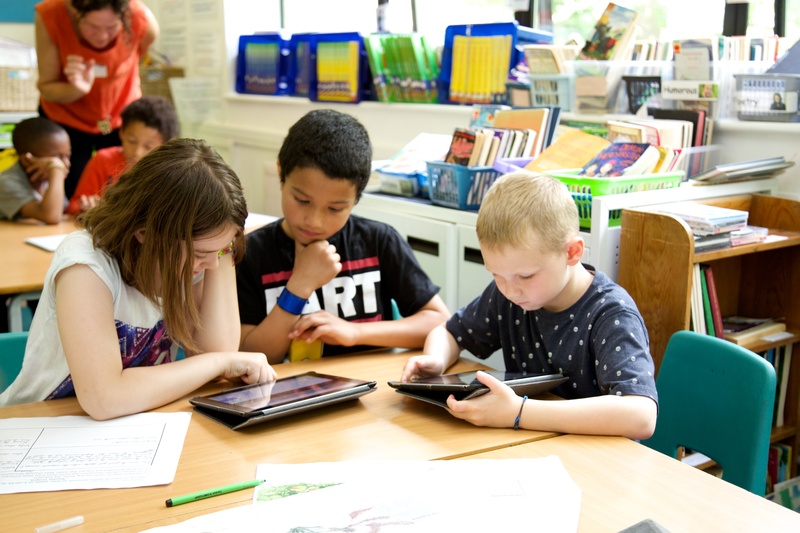 All curriculum areas benefit from the provision of our tablets, allowing the children to create and share learning in fun and innovative ways. Apps are carefully selected and downloaded to best help children move forward in different subjects areas. Children can learn from educational applications or can even record their own explanations for other children to learn from. Our youngest children benefit from quick and easy access to iPads to enhance or record their learning. The intuitive touch screen access allows children to enhance their own learning opportunities. Class sets of Chromebooks are found in Key Stage 2, providing excellent opportunities for interaction and collaboration between peers and staff. The keyboard and touchscreen capabilities provides the perfect transition from Key Stage 1 to Key Stage 2 and, with every child having their own Gmail address, children are able to prepare themselves even more for an ever changing digital world.